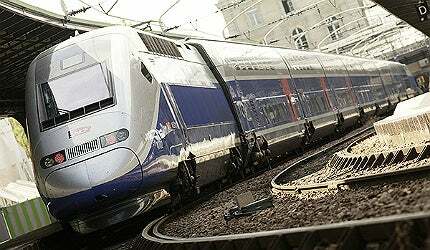 Alstom Euroduplex is the third generation of TGV very high speed trains. Image courtesy of Jérôme IBY. The Euroduplex is the only double deck very high speed train that can operate on various European rail networks. Internal screens in the Euroduplex trains provide the names of the stations, routes, the final destination and so on. The Euroduplex trainsets have facilities to display the car number, train number and destination externally near the doors. Image courtesy of Jérôme IBY. Euroduplex was first operated in December 2011 on the SNCF Rhine-Rhone LGV high-speed rail line. Image courtesy of bigbug21. Euroduplex is the third generation of TGV (Train à Grande Vitesse) very high speed trains being manufactured by Alstom. It is claimed to be the only double deck very high speed train which can meet the operational requirements of various European rail networks without any major changes in infrastructure. Euroduplex are suitable to operate on the French, German, Swiss and Luxembourg rail networks. The first set of trains was put into service in December 2011 when the French national railways SNCF inaugurated its Rhine-Rhone LGV high-speed rail line. The trains are a development over Alstom’s TGV Duplex trains. Alstom designed the TGV Duplex train sets in the late 1980s when the need for transporting more passengers was arising. In 1987, Alstom came up with the design of a Duplex train set to increase passenger capacity without increasing the length of the train. Alstom partnered with SNCF to develop the model. The first generation TGV Duplex has a capacity of 510 seats, a 40% increase from that of a single level train. The number of bogies was reduced to 13 from the conventional 16, to decrease the mass of the train. Vibrations and noise were also reduced marginally. The second generation Duplex, called DASYE (Duplex Asynchronous ERTMS), includes a new asynchronous drive system derived from the POS system in the single level TGV. "Alstom designed the TGV Duplex train sets in the late 1980s when the need for transporting more passengers was arising." Most of the infrastructure of Euroduplex was adopted from the previous generation of trains. Euroduplex has a capacity to transport 1,020 passengers at a safe average speed of 320kmph. Its unique design provides the train with higher return per seat. Euroduplex is designed on an articulated train set model. The power systems are drawn from the previous generation trains. The train sets have fewer bogies than the other models, which reduces the rolling stock maintenance costs for the operators. Reduced noise and vibration provide optimal acoustic comfort. Lower weight and aerodynamic drag enable limited energy consumption. The signalling equipment on the train sets is compatible with networks across various European countries. The traction systems are adaptable to different voltages. Some of the train sets are suitable for use in Spain. The Euroduplex train sets have facilities to display the car number, train number and destination externally, near the doors. Internal screens also display the information in various languages. "The German Federal Railway Authority approved the use of Euroduplex trains in Germany in March 2012. Two train sets will operate on the Paris-Frankfurt-Marseille line." They provide the names of the stations, the route, the final destination, the journey time, train speed and more. The digital reservation displays on the individual seats provide details of the sections of the journey for which they have been reserved. Announcements can be made through control consoles and the same are displayed on the internal screens for the benefit of the hearing impaired. People with reduced mobility are provided better accessibility in these train sets with 50 specially-outfitted areas reserved for them. The ground-to-train connection systems have also been upgraded in the third generation of the Duplex trains. Passenger safety has been enhanced with provision for video surveillance equipment and fire detection systems in new areas, such as the toilets, nurseries, luggage areas, electrical cabinets and machinery areas. The Euroduplex are manufactured entirely in France. The passenger cars are built in La Rochelle, the locomotives in Belfort and the end cars in Reichshoffen. France-based Faiveley Transport, Alstom GRID Logitrade, COMECA, CEIT, TFCM and Association Bretagne Atelier are the project’s main suppliers. SNCF ordered 55 train sets in June 2007. In April 2012, it exercised an option from the original contract and ordered an additional 40 train sets. The deliveries of the first order are scheduled to be completed in 2014 and the second will begin in 2015. The German Federal Railway Authority approved the use of Euroduplex trains in Germany in March 2012. Two train sets will operate on the Paris-Frankfurt-Marseille line. Using weighing engineering experience, Barnsley based manufacturer Weighwell supplies specialist train weighing systems to rail depots and workshops. Created and designed for maintenance and manufacturing depots, our easy-to-use ptwX software allows for real-time displays of wheel information and can interpret any weight differentials in relation to the full locomotive / railcar such as wheels on axles, axles on bogies and bogie differences. The Weighwell PTW1 and PTW 1 HD are both portable and accurate in-motion train weighing systems that are ideal for the rail freight market. Additionally our PTW1 HD has been specifically designed to withstand greater axle loads with an increased weighing range of 40t per axle (20t per wheel).